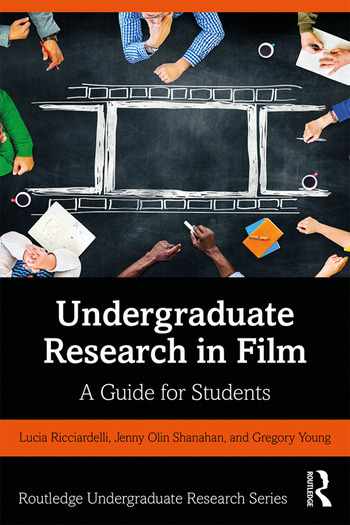 Undergraduate Research in Film: A Guide for Students supplies tools for building research skills, with examples of undergraduate research activities and case studies on projects in the various areas in the study of film, film theory, film production, history of film, and interdisciplinary projects. Professors and students can use it as a text and/or a reference book. Essentially, what makes this volume unique from is that it brings together examples of film projects and film studies courses within the framework of research skills. Following an overview chapter, the next seven chapters cover research skills including literature reviews, choosing topics, formulating questions, citing sources, disseminating results, and working with data and human subjects. A wide variety of sub-disciplines follow in chapters 9-17 with sample project ideas from each, as well as undergraduate research conference abstracts. The final chapter is an annotated guide to online resources. All chapters begin with inspiring quotations and end with relevant discussion questions. Lucia Ricciardelli is Associate Professor of Film Studies at Montana State University.